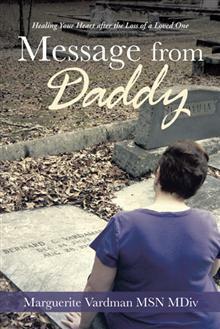 Message from Daddy sets you on the path to healing, after the loss of a loved one, and holds your hand every step of the way. Miss Vardman combines her medical and ministerial training, along with her decades of personal experience, to show you how to navigate that path. • Develop an understanding of the end-of-life process that will help you and your family cope. • Learn how to use affirmative prayer to bring hope to your daily routine. • Use the concept of transition of the Spirit to add a new dimension to your healing process after the loss. • Find out how to get your life back, through a step by step approach. • Discover how to honor your feelings, develop a support network, stay in touch with Love, and trust God. • Believe in Miracles again and know that you deserve them in your life! 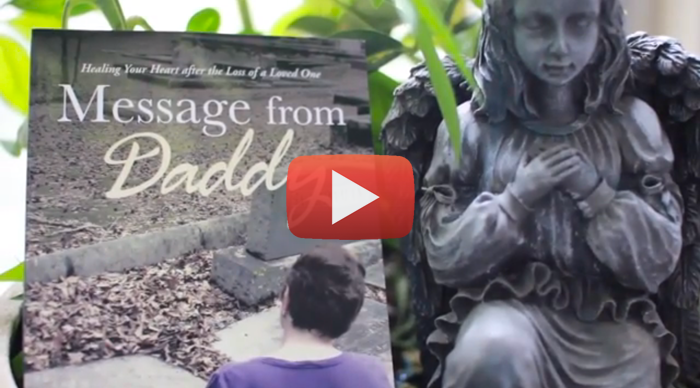 The words of wisdom and personalized true stories in Message from Daddy will help you create a strong inner belief that you can find happiness after a great loss.